Back to London Design Festival – I visited 100% design and Tent whilst I was down south and here are my 10 favourite finds. 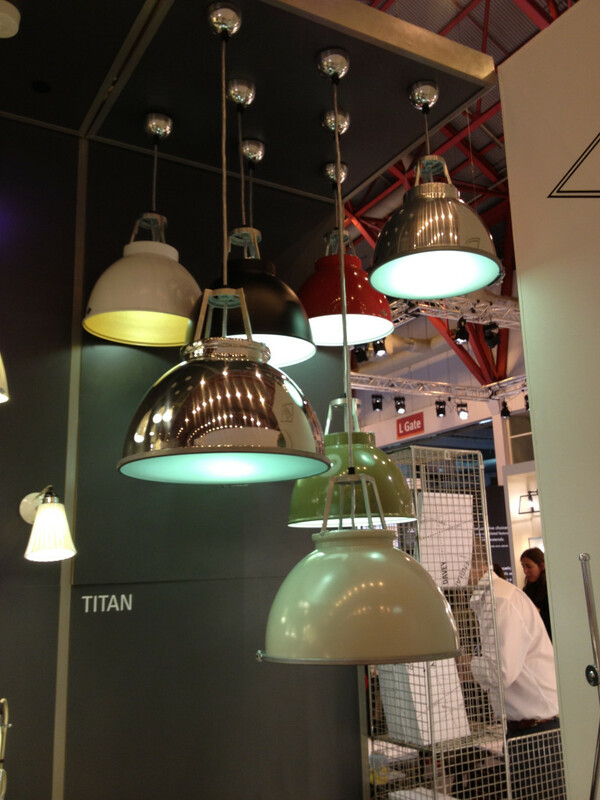 This stand had a lovely selection of pendant lights which would be perfect to go above a kitchen Island. I especially liked these two, love the industrial style with a different colour interior or coloured diffuser at the bottom. I have a bit of a felt fetish. I don’t know why but I love it. 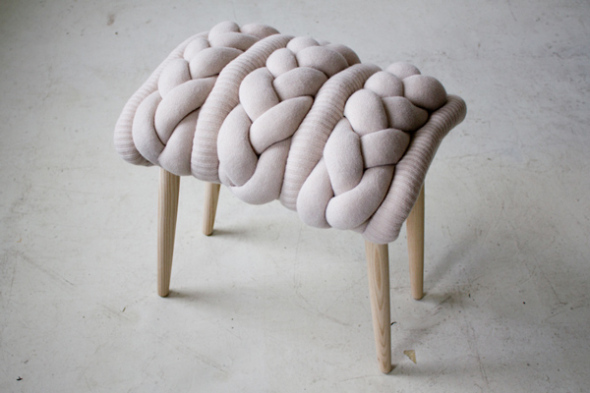 I love felt cushions, felt chairs, felt rugs. 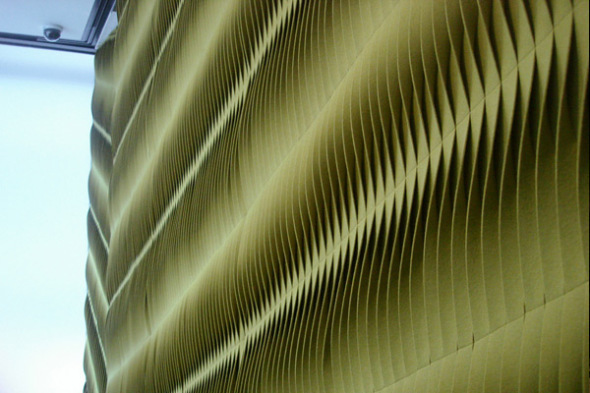 So when I saw these 3 dimensional sculptured wall panels it really drew me over to the stand. I love the textured patterns. They would be great as a feature wall within a cinema room or office which dual up as artwork and sound insulation at the same time. 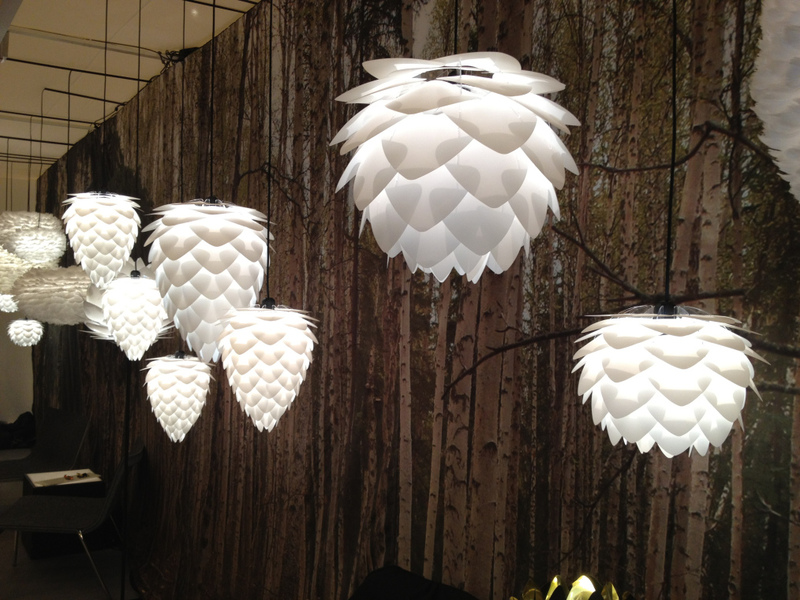 These Scandinavian pendant lights are really pretty, they look like pine cones and big balls of fluffy feathers! Being packed in flat boxes, they are easily transported and assembled in 10 minutes. I love the soft ambient glow these lights give off. With the light bulb not being visible from any angle, they are suitable to be placed at any height. It looks really effective when positioned against a contrasting darker background as shown in the eye-catching picture above, taken at 100% design. 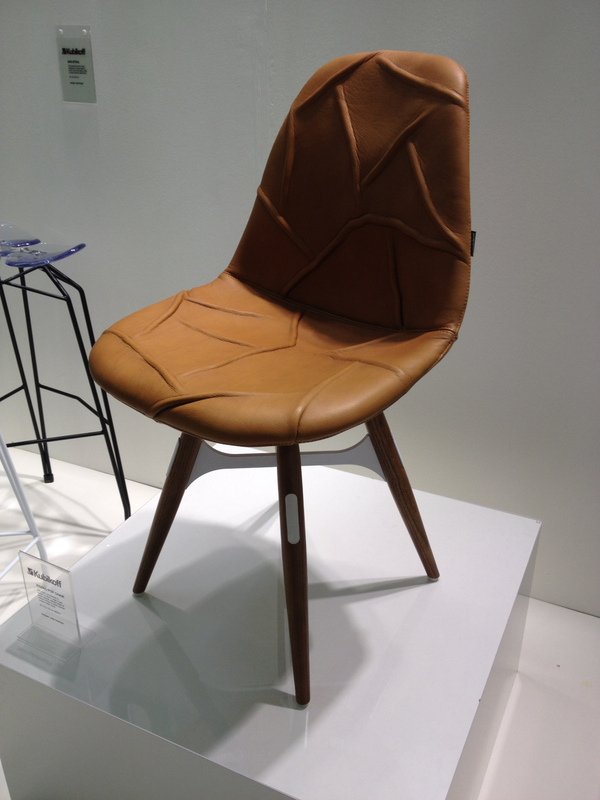 This is a new french furniture brand based on eco – friendly innovation in materials technology. 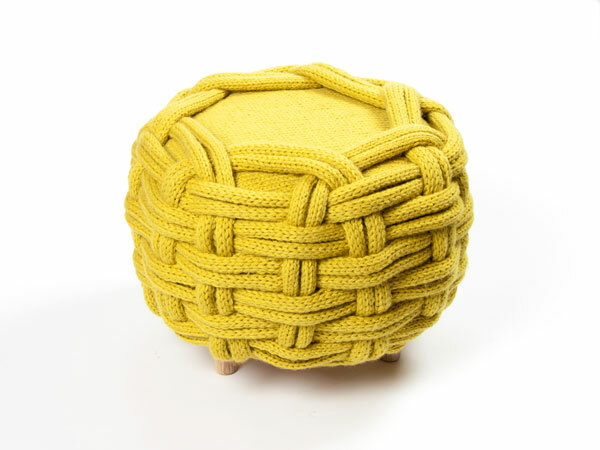 The company uses a composite material reinforced with flax fibres that is lightweight, high performance and recyclable. 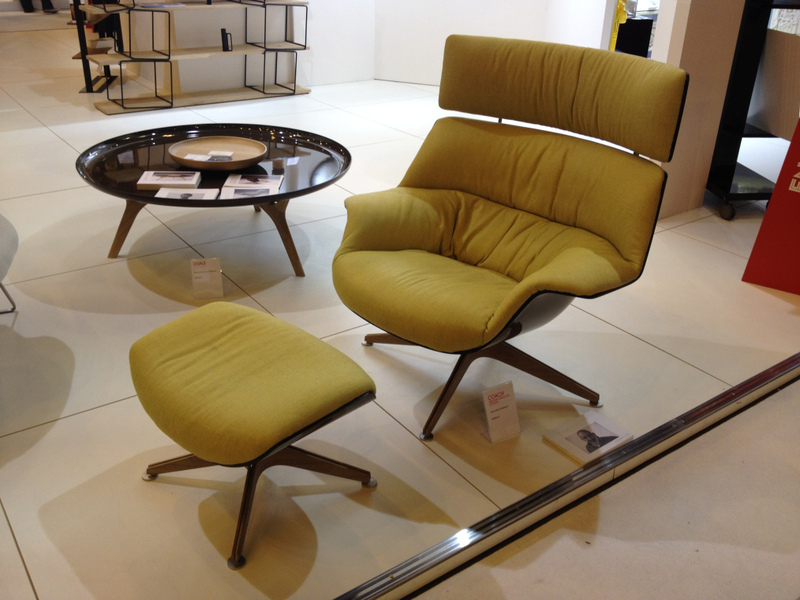 I love this lounge chair, has a real look of the Charles & Ray Eames Lounger but I think it is actually a lot more comfortable and looks nicer. The padded back curves around to form small armrests on either side of the chair giving an enveloping look which is functional at the same time. Was great to sit back and relax for a bit when my feet got a bit sore!! 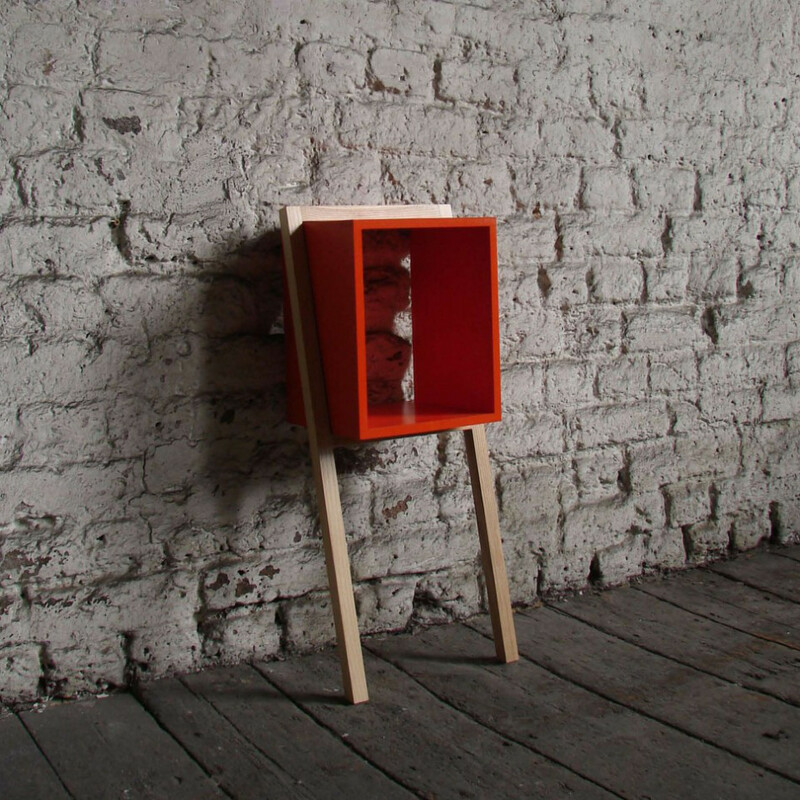 I loved the little leaning side table which is available in lots of fun and bright colours. This company launched in 2008 and strive to design practical furniture that also personifies eccentricity and a sense of fun. 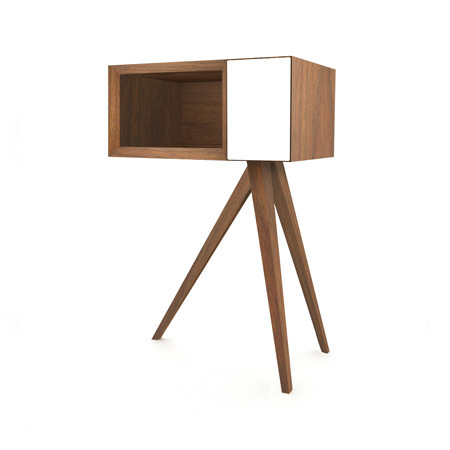 The range has a real retro vibe with a mix of furniture, accessories and gifts. 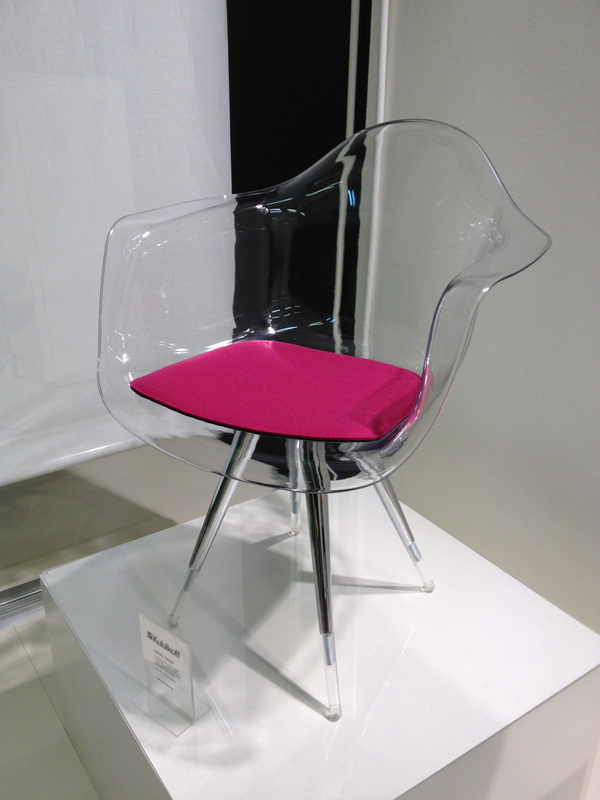 I absolutely fell in love with these chairs!! 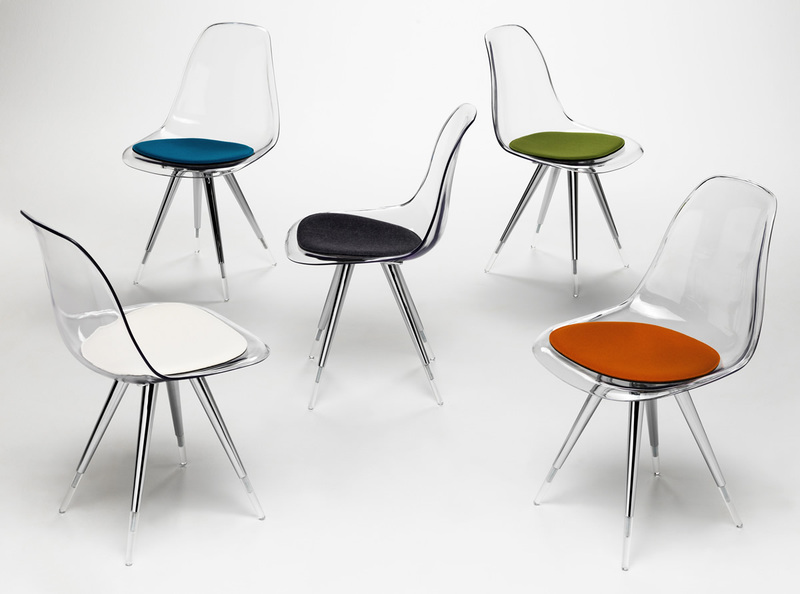 They reminded me of the Eames dining chairs by Vitra but with a twist, using a similar shape seat and leg but re-inventing the look with the colours, materials and leg style. My favourite was the clear rocker chair with felt seat pad, black Eiffel tower style legs attached to a wooden rocker. I love the mix of materials of wood plastic and felt. You can really change the look of the chair just by changing the seat pad to a different colour,which is a lot cheaper than buying a whole new chair. 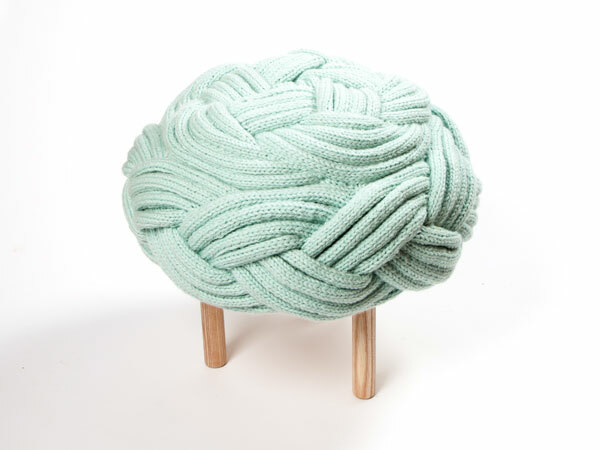 Designed by textile designer based in East London, these footstools are the perfect winter room accessory. With a sculptural approach to textiles, Claire explores form, construction and scale through the unique properties of knitted fabrics. I really like the oversized nature of the knitted patterns. I came across a couple of recently graduated architects who have set up their own company and they asked if they could demonstrate their prototype of a newly designed product which is 8 tables in 1. The concept is derived from a mathematical equation which changes a square into an equilateral triangle. 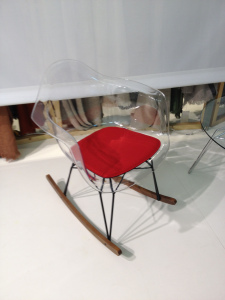 I was fascinated with the flexibility and functionality of this one piece of furniture!! 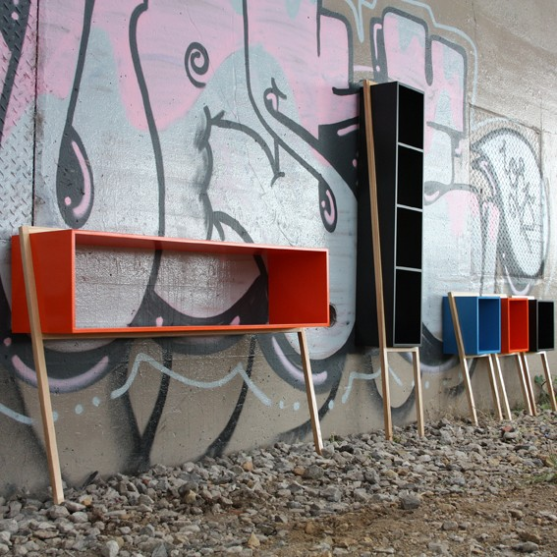 The D*Table is rotatable, flexible and highly interactive. Each section is constructed using Corian as the surface material and can be made in any of the 100 colours available for the material. The design features sliding drawers, space for books on the top (displayed vertically in the slots) plus an integrated bottle/ plant pot holder. For greater functionality, each section of the D*Table can be manually detached from the other at its hinges and used separately as a stand-alone piece. 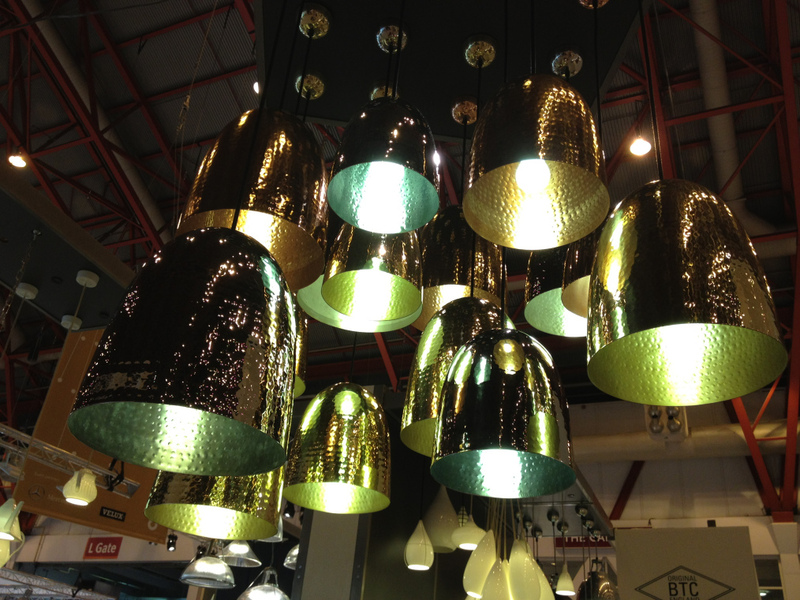 This quirky hat pendant lamp caught my attention! It looks so elegant like a swan. 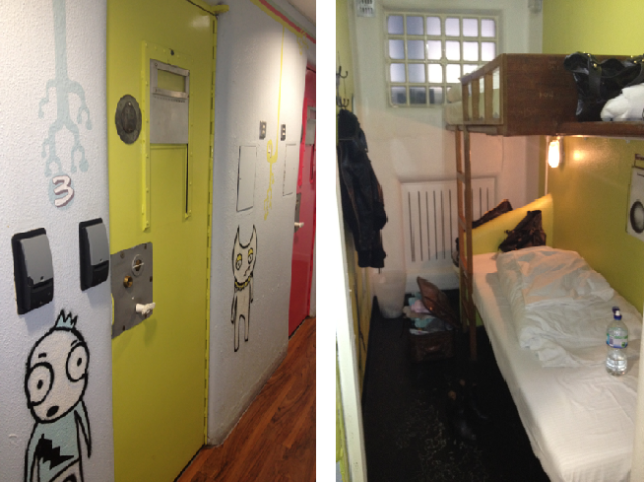 I like the different coloured wire cable that you can have which hangs the light from the ceiling. 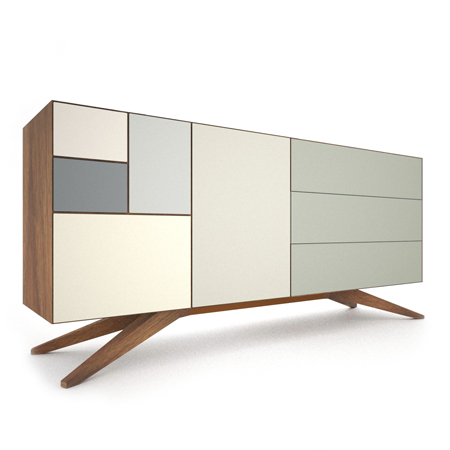 I really liked this range of sideboards and side tables which are designed by Simon Moorhouse, an architect/ Interior Designer who left his practise after 20 years to pursue his dreams of designing furniture. Incunabular is his first product range which has recently launched. The compartment sizes are based on the dimensions and ratios from the international paper standard ISO 216, Series A. (A5, A4, A3, A2). 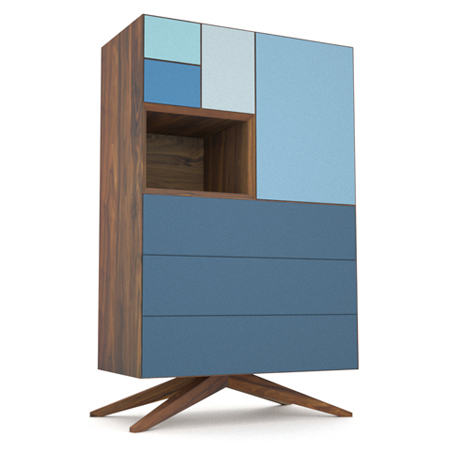 I love the different shades of colour mixed with the Solid American Walnut. The quality of these units are just exceptional.This is a true example of British design and craftmanship at its best for cutting edge modern design! 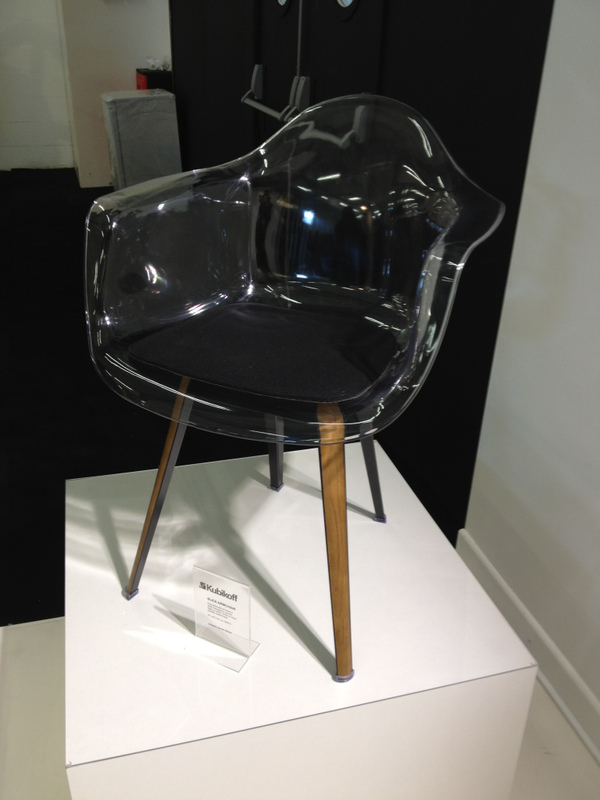 Hope you all had a blast like I did at LDF12, and enjoyed looking through my favourites! What bits did you like best? Need help with your space?